Project Nurture receives prestigious award recognizing collaborative excellence in a cross-sector partnership. 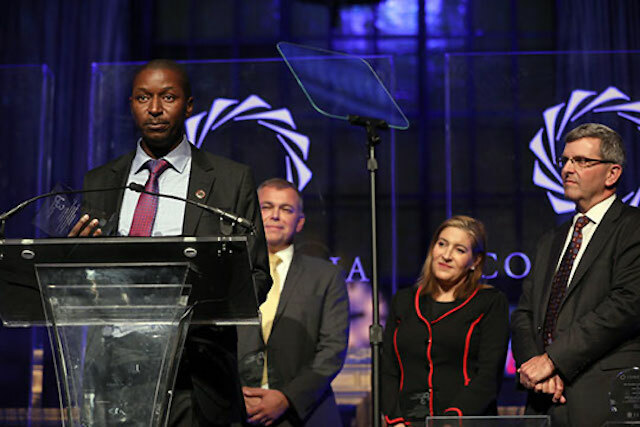 TechnoServe's Dickson Mbando, Program Director for Project Nurture, accepted the P3 Impact Award on September 20, along with Richard Rogers (Senior Program Officer at Gates Foundation), Bea Perez (Chief Sustainability Officer at Coca-Cola) and William Warshauer (President and CEO of TechnoServe). TechnoServe and our partners, The Coca-Cola Company and the Bill & Melinda Gates Foundation, were honored to receive the 2016 P3 Impact Award tonight for our Project Nurture partnership at a ceremony following the Concordia Summit in New York City. Presented by the U.S. State Department and other partners, the P3 Impact Award recognizes the world's most innovative and impactful public-private partnerships (P3s). Project Nurture won out over more than a hundred other cross-sector collaborations addressing a variety of pressing global issues. 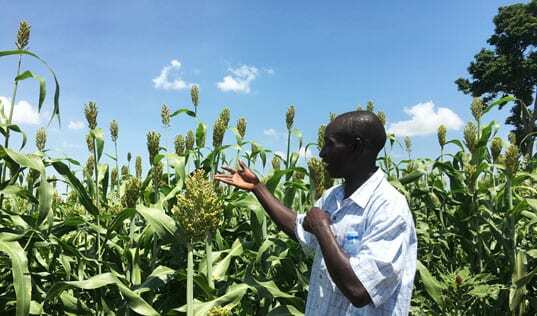 A partnership between TechnoServe, Coca-Cola and the Gates Foundation, Project Nurture developed an innovative shared value solution to challenges in East Africa’s fruit market. 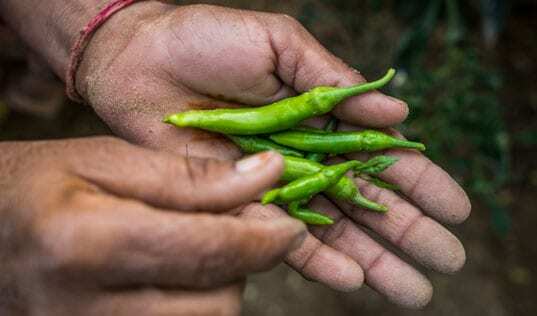 By promoting improved farming practices and linking farmers to better markets, the project sought to help small-scale mango and passion fruit farmers double their fruit incomes. 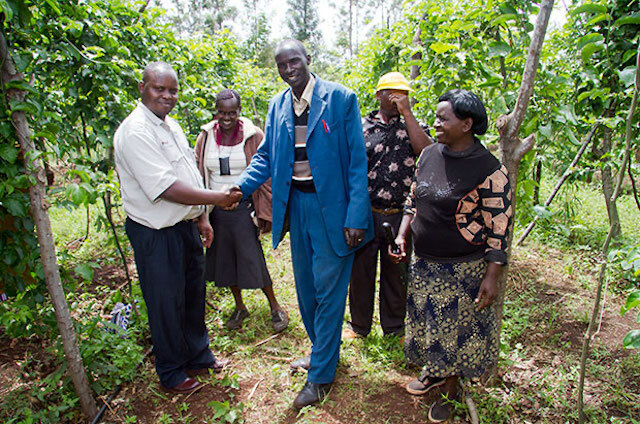 Over five years, the project helped nearly 54,000 farmers in Kenya and Uganda increase their fruit incomes by an average 142 percent. TechnoServe is proud of the real and lasting impact Project Nurture has made in the lives of farmers like Purity Njoki and Sam Koole. And we feel privileged to work with such great partners, and accept this award in the company of Coca-Cola and the Gates Foundation. 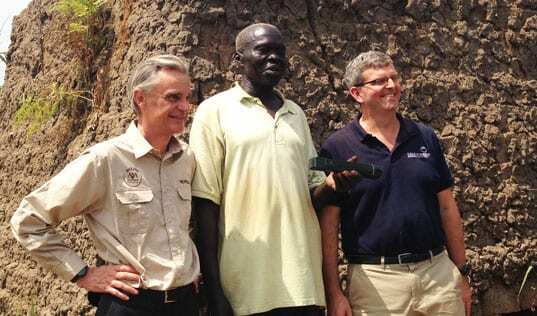 The P3 Impact Award was created by Concordia, the University of Virginia Darden School Institute for Business in Society, and the U.S. Department of State Secretary's Office of Global Partnerships to recognize and honor best practices of public-private partnerships that are improving communities and the world. Join us in celebrating and share the news with your friends and family!